Besides the start of the Easter holidays and the clocks ‘springing’ forward, March is also the month of International Women’s Day. Not only is the day important for obvious reasons, but our design team always take a particular interest in how brands mark the occasion. We’ll be featuring some of our favourite in our Sevenses blog this month. We’ll also be taking a look at the other things that really caught our attention over the last month, from new movies, websites, shows, campaigns and anything else deemed worthy as being creative inspiration. It’s no surprise that we’re starting this month’s Sevenses blog with a look at how different brands marked International Women’s Day. McDonalds did a cracking job of giving a very big nod to the day by turning their famous ‘M’ upside down. 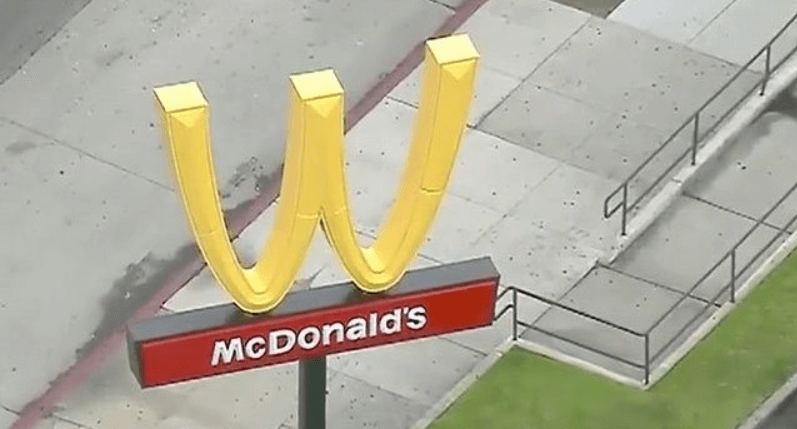 The new ‘W’ was then featured across all of their online platforms and even at some restaurants. Good going. We also really enjoyed the campaign by Creative Equals which saw them re-work some of the most iconic logos to promote diversity within the creative sector. We’re featuring our favourites but you can see the entire catalogue here. Geneva International Motor Show is one of the largest motor exhibitions in the world. The 10 day event hosted by Palexpo is a chance to see big budget exhibitions, premier unveilings and a shed load of design and innovation. 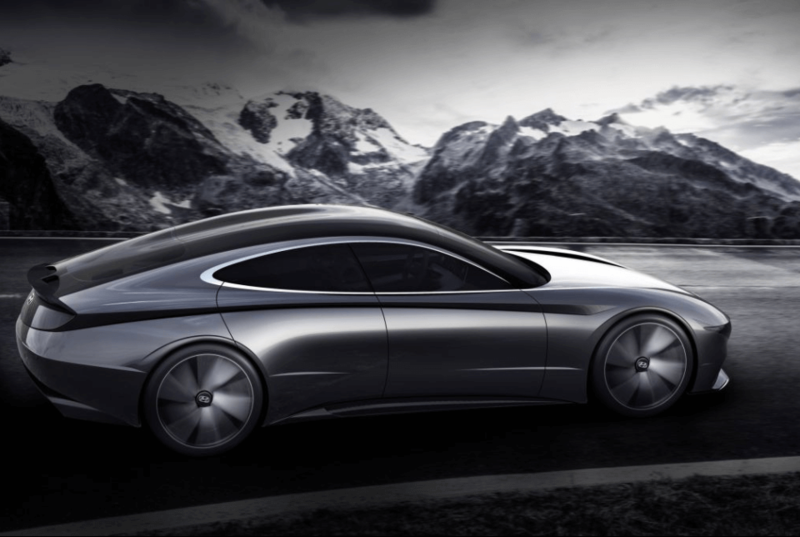 One of the most notable reveals at the show came from Hyundai who surprised everyone with their latest concept car, Le Fil Rouge. 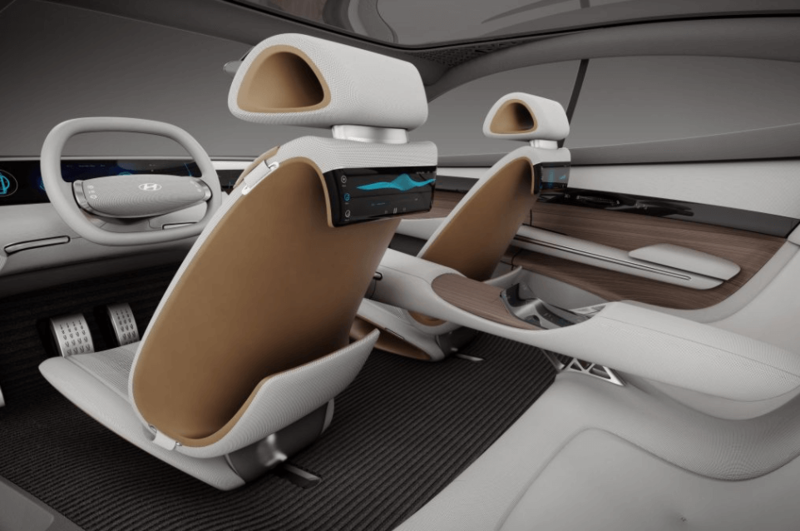 Created around Hyundai’s new design theme called ‘Sensuous Sportiness’ which according to Hyundai’s head of styling, Sang-yup Lee, the overall goal was to create ‘vehicles with heightened emotional value’. The new design theme will be adopted by all future Hyundai vehicles including compact hatches to SUVs. Yes please! We love creativity in all shapes and sizes and as events specialists we particularly value a well thought out environment or space. This is why we couldn’t resist featuring these compact and yet beautifully designed portable homes. 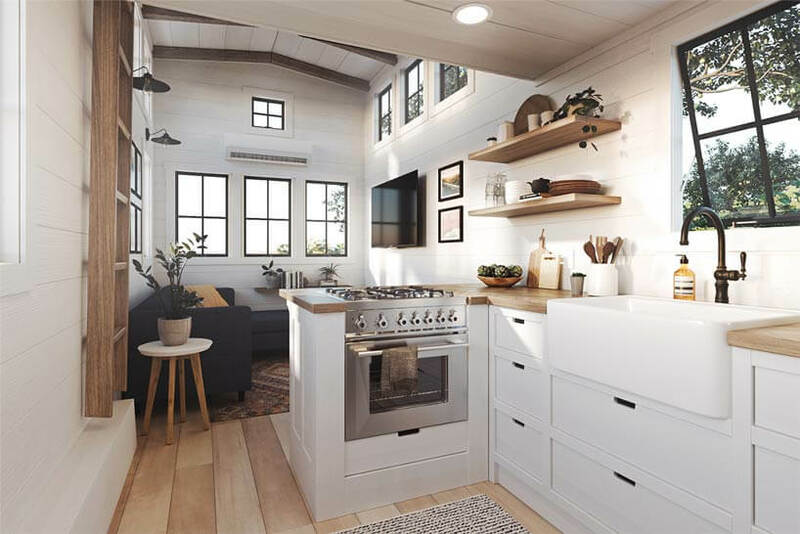 Launched by Everywhere co. & Timbercraft these tiny mobile homes have been made for millennials. Everywhere.co also announced that they will providing some of their tiny homes in sites across the western United States. These will be located near national and state parks, popular hiking, and biking trails and will be made available to stay in for 1-6 months at a time for roaming youngsters. We’ve been anticipating the release of Wes Anderson’s new film for forever (at least it certainly feels like it). 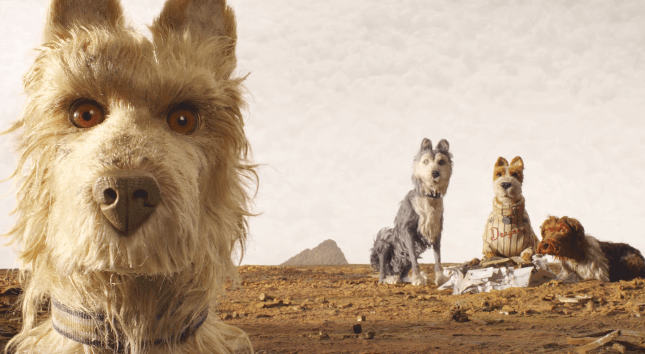 Isle of Dogs is being shown in cinemas from the 30th March and it’s guaranteed to be another epic and stylish film. 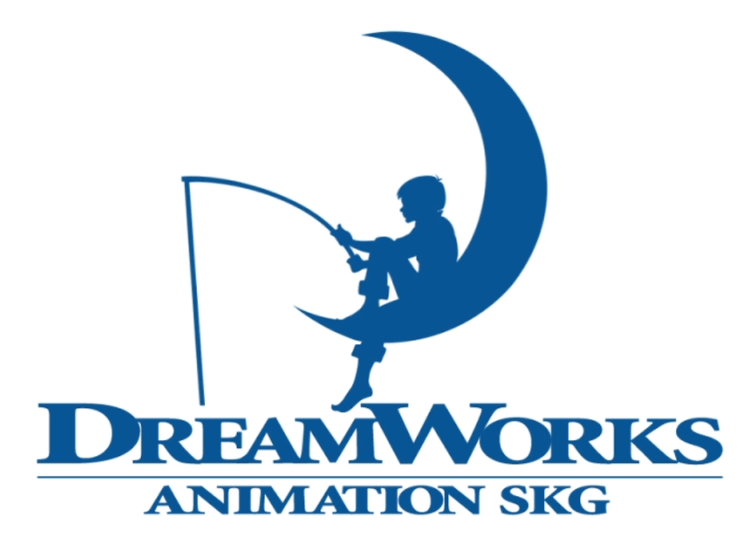 The true gem of the film is it’s creative flair portrayed in in Wes’ unique stop frame animation and style which has become characteristic of his films. If that wasn’t enough there is a exhibition of the puppets, sets and models being exhibited in London until the 5th April at the Store Studio. This is your chance to go behind the scenes and even enjoy a sake and Ramen noodle soup. The best bit? It’s completely free! You’d be crazy to miss it. As UI and UX specialists we’re always keen to assess how others use and create websites. 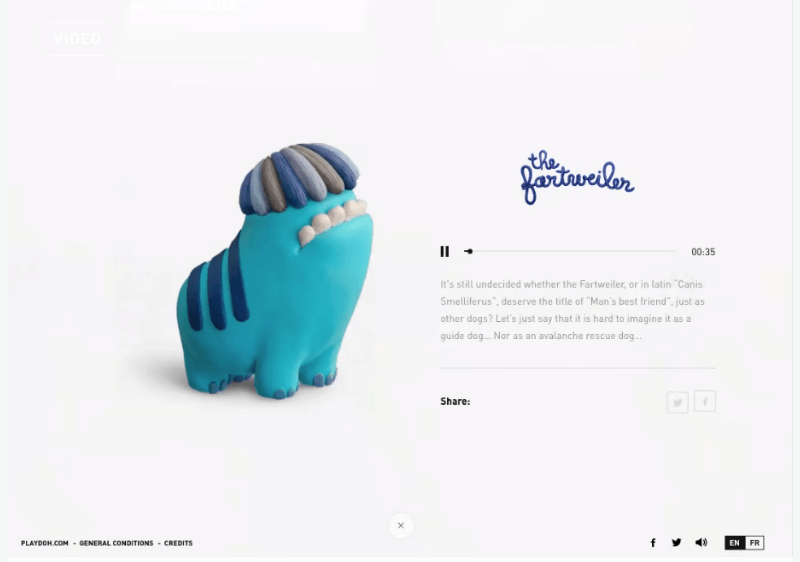 This month we’re featuring this Gallery website from PlayDoh because it’s packed with creativity, it’s extremely user friendly and best of all, it’s child friendly and interactive. The site by PlayDoh is a gallery of emerging species! Children are invited to create new and unique species and submit them to the gallery for a chance to be featured. On the 24th March landmarks around the world turned off their power for the big switch off which is part of Earth Hour. Earth Hour is a global movement, bringing millions together across the world to call for greater action on climate change. Each year, hundreds of millions of people around the world switch off their lights and organise events – at home, in their community or in their towns or cities – to show they care about the future of our planet. 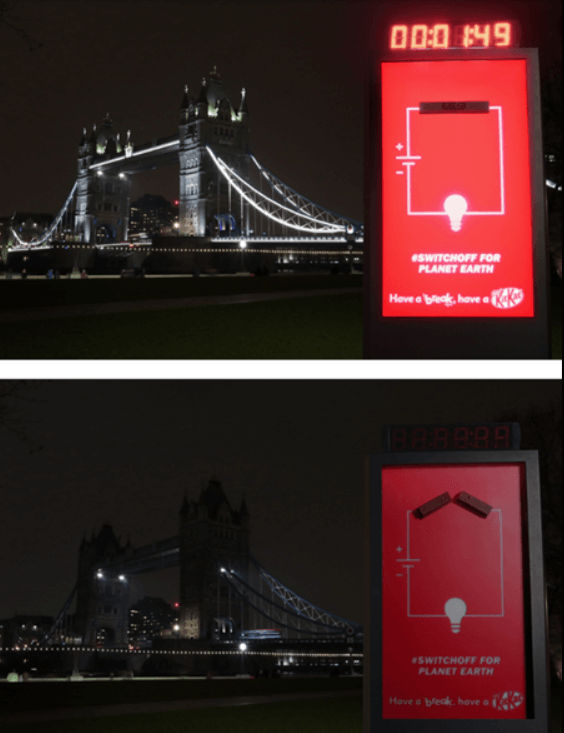 This year JWT London created a billboard for KitKat that also switched itself off in a bid to persuade people to “have a break” (sounds familiar?) from electricity. The billboard along with London’s bridge plummeted into darkness for the hour to give the impression that the electricity had been turned off. Unit 9 have created a ‘magic mirror’ for Lynx allowing customers to try on different hairstyles. 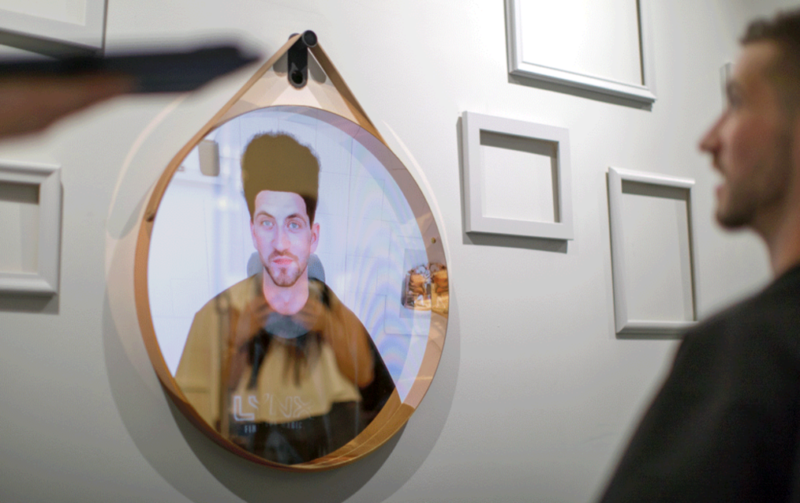 Using face tracking technology the mirror projects faces onto the mirror and accurately syncs a 3D rendered hairstyle on the user’s face in real-time. It’s a fantastic example of augmented reality. It won’t be long before we can try everything on in this way, right? Look out for the next edition of our Sevenses blog, when we’ll be taking a look at some more creative inspiration.